The following relates to our information handling policy when you visit our Web site. The information we receive depends upon what you do when visiting our site. 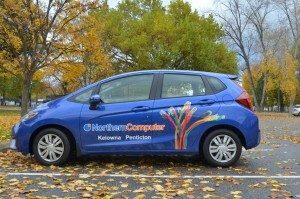 If you choose to identify yourself by sending us an email or completing an online form, Northern Computer employees and business partners will have access to such information in order to contact you for customer service purposes. We also aggregate information on what pages you access. Information submitted by you, such as survey information and/or comments or feedback, may be stored in a personally-identifiable format and is used only for internal purposes and is not shared with people or organizations outside of Northern Computer, its subsidiaries or successors in interest, and its business partners. If we want to share your name outside this group or otherwise publicize the fact that you submitted materials or other information to us, then we will we ask your permission to use your name with the materials or other information you submitted to a particular part of this site. This site may contain links to other sites not owned or managed by Northern Computer. Northern Computer is not responsible for the privacy practices of such websites. Northern Computer recognizes that users may not wish to be contacted about new or related products. Northern Computer allows you to opt out of any e-mail marketing that may result from use of the site. When you receive an email, you will be given instructions on how to remove yourself from that list. Northern Computer will release any information that is required to be released by law or court order.